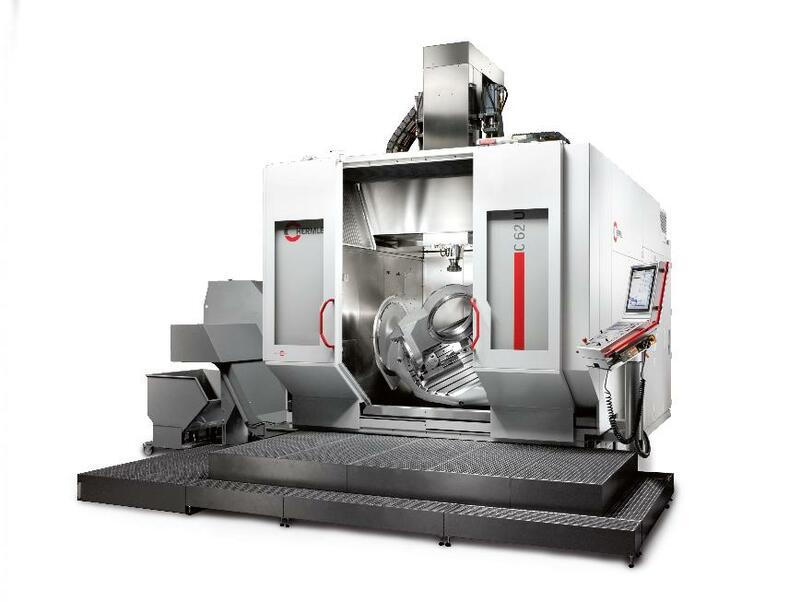 The C 62 is a highly dynamic machining centre designed for 5-axis/5-side machining. 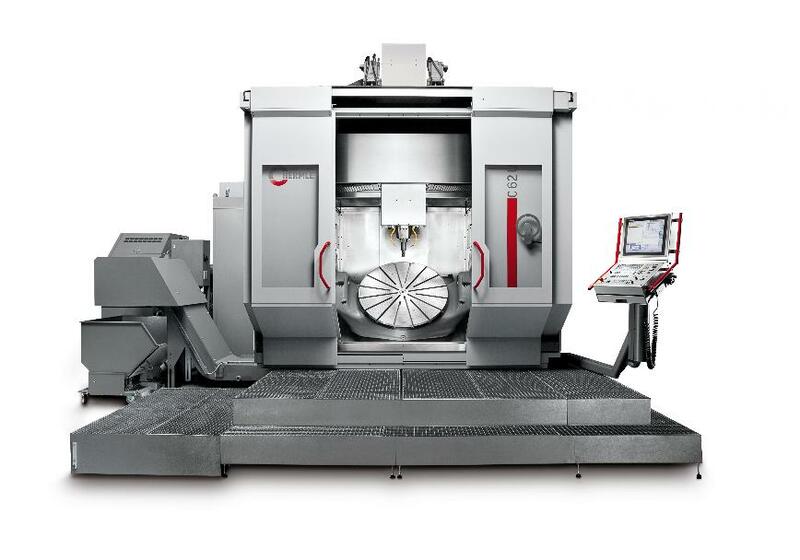 Numerous features ensure high-precision and cost-effective working on workpieces up to 2500 kg in weight. Various optional extras simply add to the capabilities for innovative advanced machining. As with all Hermle machining centres, the C 62 offers various workpiece loading options to guarantee optimum operation. The PW 3000 pallet changer ensures even the heaviest workpieces can be saved and loaded fully automatically. Depending on the respective requirements, various additional tool magazines are available. The concept and modular design of the C 62 means individual needs can be met in many different ways. The optimised footprint is another bonus besides the highest standards of quality, precision and accuracy which are synonymous with Hermle. The C 62: a high-performance all-rounder. In short: a new giant. Milling and turning in one clamping. Fully integrated rotary technology.